Are you looking to increase the number of visitors to your website? Knowing how your visitors arrive at your site can help you develop a strategy for increased website traffic. 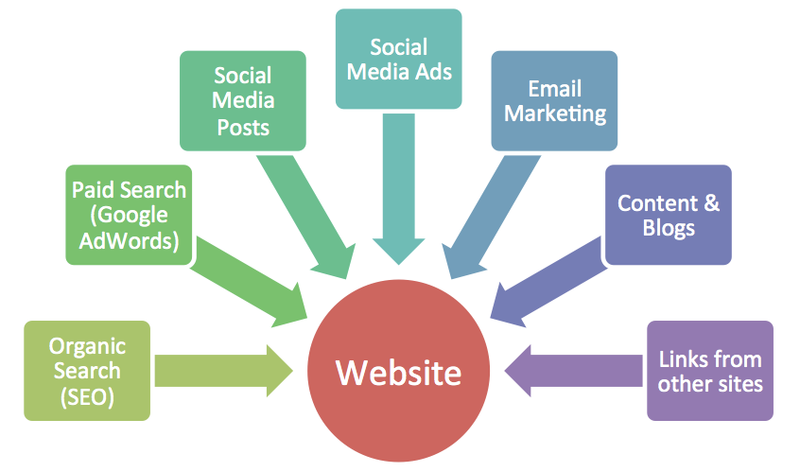 This article breaks down some of the key sources of website traffic. When a user enters a term in a search engine (like Google), the results that are shown are organic results. This source of traffic is essentially free but does rely on quality SEO. Similar to organic, paid search traffic originates from the results of a Google search. Every time a user clicks on an ad that points to your site, you pay. How much depends on many factors including keyword competition, popularity and where your ad appears on the page. This kind of traffic originates from posts made on various social media platforms. You may post a link on Facebook that points back to a particular product page on your website. These posts can also be ‘boosted’ to increase the reach of your content. This traffic originates from ads placed on social media. Similar to social media posts, these ads contain links back to particular pages on your website. Email marketing has been around for a while and still provides an excellent, targeted source of traffic to your site. Regular monthly newsletters and special mail out’s are a great way to drive traffic back to your site. Content is king for any website. Having a site that visitors want to return to and share content is the ultimate goal, regardless of your business. This kind of traffic is tied very closely to organic traffic. This source of traffic is a key element of SEO. Ensuring your site is referenced by other, similar and important sites is crucial. This also helps build the ‘credibility’ of your website.